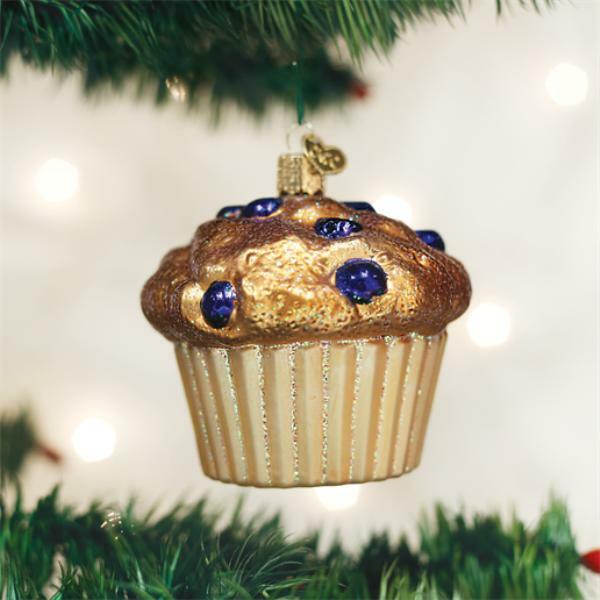 Home > Old World Christmas - Traditional Glass Christmas Ornaments > Old World Christmas Glass Ornament - "Blueberry Muffin"
The individual-sized baked good can be prepared as a sweet treat or a savory snack. This quick bread has been around since the 18th century and remains an American favorite. A blueberry muffin is the perfect sweet treat at breakfast and goes well with a hot cup of coffee!